So, you’ve decided to buy a car! You’re excited and have been talking to lots of different people about it. Some of them tell you it’s always better to buy, while others encourage you to lease, saying that it’s a lot cheaper. You get all turned around and can’t decide whether to buy or lease a car. Well, there’s no one answer that’s right for everyone. That’s why we created this handy little guide, which is divided into three main steps. It will help you assess your situation, understand the advantages and disadvantages of each option, and pick the one that’s right for you. To figure out which situation applies to you, you need to determine your budget, your needs, and your preferences. What is my current budget for a car? Is it quite limited, small, or big? Even if my budget is limited, do I want a new car? Do I have any other debts I’d like to pay off quickly? Am I going to do a lot of driving with my car? Do I plan on changing cars often or keeping this one for a long time? Do I want the freedom to make major modifications to the car? Do I want to avoid mechanical problems and unexpected maintenance costs? Am I interested in a luxury vehicle? Does the idea of having to sell my car bother me? If I lease a car, am I going to buy it when the contract is up? 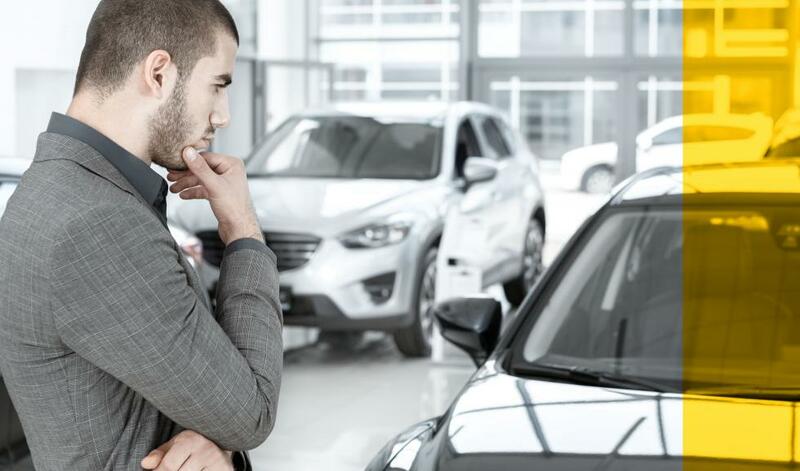 You need to know what the pros and cons of each option are to be able to decide whether you should buy or lease a car. So let’s take a look at them! The monthly payments are considerably lower. You can lease a new car even on a tight budget. You can save more money to pay off other debts. You can change vehicles more often when the lease runs out and avoid mechanical problems. You don’t have to resell your vehicle. When the lease runs out, you can buy a used car that you already know well by paying the remaining amount. You don’t have any assets at the end of the lease. The lease has a mileage limit and you’ll have to pay a fine if you exceed it. You have to return the vehicle in good condition because the lessor only covers normal wear and tear. You can’t make any major modifications to the vehicle. You’re the owner of the vehicle at the end of the payments, so you can resell it or keep your asset for a long time. You can negotiate the price and options when you buy it. You can make any modifications you like to your vehicle. The monthly payments are a lot higher. Depreciation: the vehicle loses 30-40% of its value as soon as you leave the dealership and then about 10% per year. Reselling the vehicle is a lot of work. So, do you buy or do you lease? It’s the moment of truth! Time to add everything up and see what’s best for you. To do this, simply take your answers from the ten questions and compare them to the pro/con lists. Whatever you do, don’t forget to compare the interest rates offered! The lowest possible rate and some short term financing is almost always a winning combination. Last but not least, remember that specialists all agree that maintaining a vehicle properly and keeping it for a long time is the most economical solution in the long run. We hope this guide will help you make an informed decision. Before you decide, take some time to find out how much the insurance will cost if you lease or buy, depending on the model and your needs. Feel free to call a Promutuel Insurance agent or request an auto insurance quote online. We’re there to advise you. Why use a block heater?